The GARX car is based on real cars from the past leased to the QA&P Rwy. 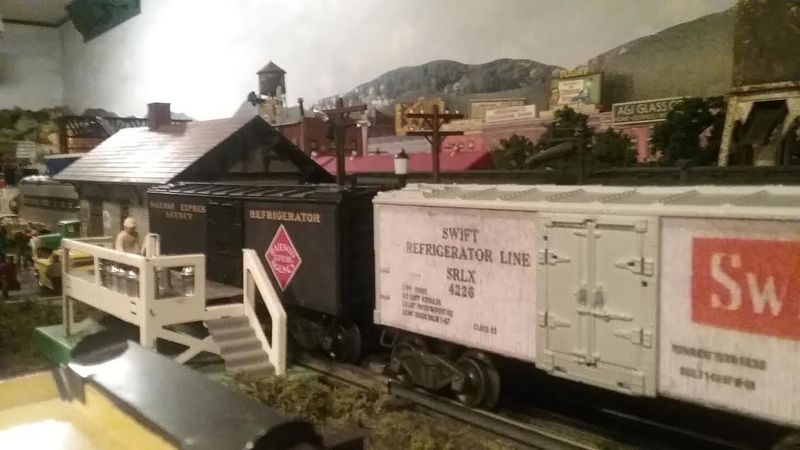 The silver painted express boxcar is “pretend”. 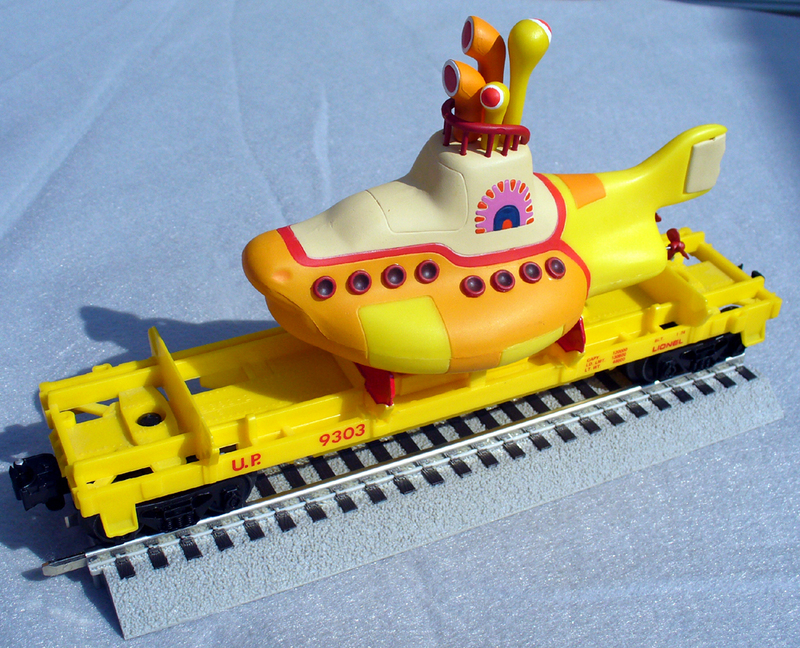 The Yellow Submarine started out as a log unloader. I just made a cradle to hold the boat. Speedy is from a Revell BOMARC kit. 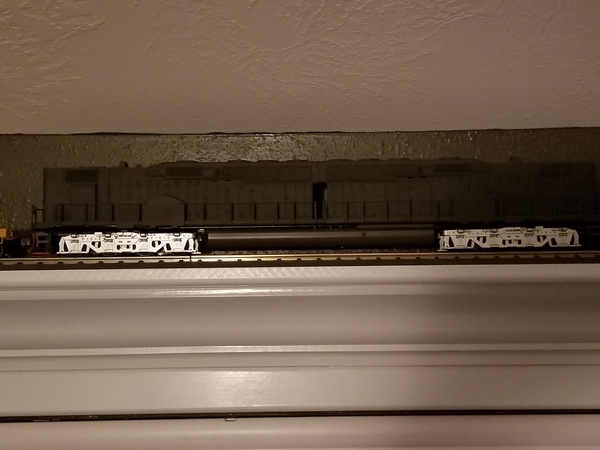 I credit "ScaleRail Don" for the inspiration! The launch pad is bolted down to the car from underneath into the jack-stands and the boxes are from Frenchman River, the decals I made. It was nice that the wing tips were separate parts. They are in the retracted position for clearance. It was awhile before I realized this thread included locomotives, so here is my "Frankenstein" loco,.. THe story goes like this, years ago I bought an early Williams SD-45 with the idea of converting it into an SD-38. 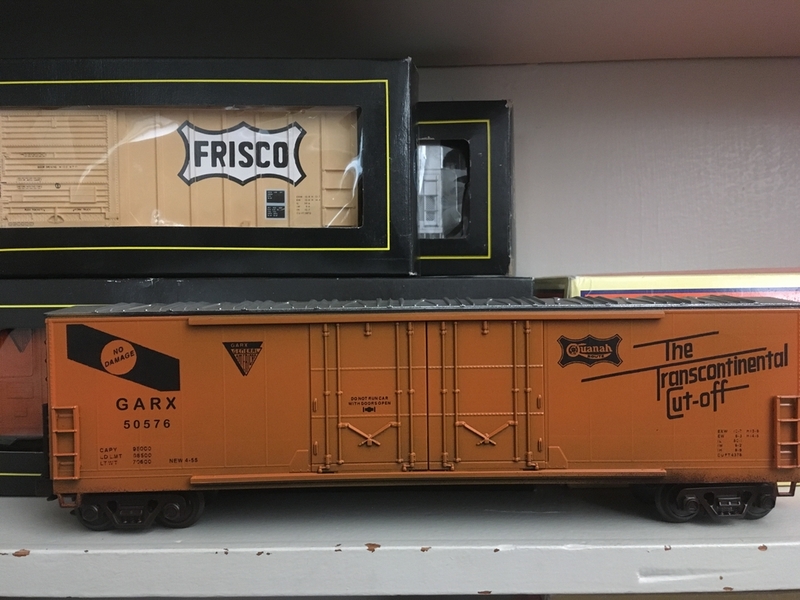 When I was ready to start the project, I opened the box and immediately noticed those Trainmaster trucks. Ugh! no way I can use those for an SD-38, so I decided to make a trainmaster. The shell is an MTH version, with Precision scale details, Scale coat paint, Shell scale decals, ERR sound commander and Evans designs LED Head light. BTW I did eventually acquire another Williams SD-45 with the proper 6 wheel trucks, so that project will be done one day. Rob, How did you make the modified Bettendorf trucks with roller bearings? 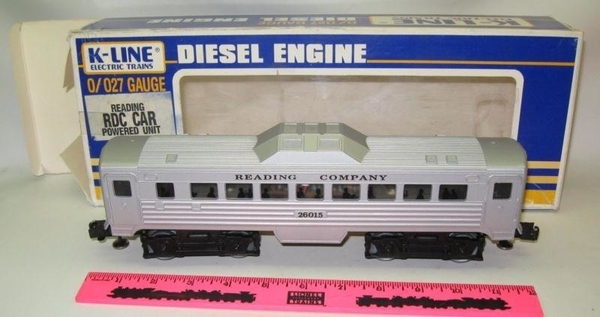 I remember seeing these back in the '70s on the Penn Central. 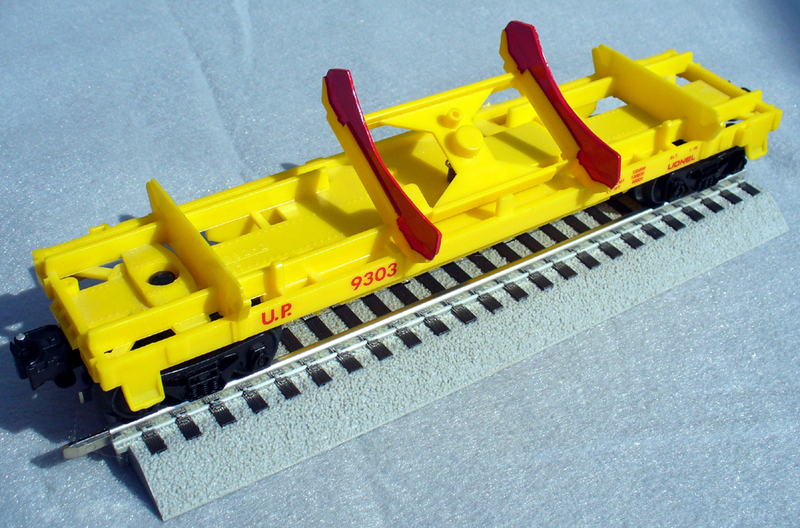 I would like to model this feature on some of my rolling stock. I might as well throw my hat into the ring. I have modified/kitbashed several cars over the past few years. This was mostly out of necessity as models of these cars are not commercially available in 3 rail. The first is a Penn Central N9 transfer caboose. 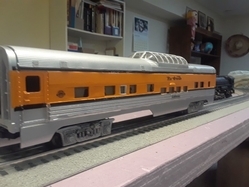 I started with a Lionel PS-1 boxcar. Stripped it down to the frame and built everything on top. My model represents an earlier version that used propane for heat. Later units used fuel oil for heat. The propane tanks were replaced by a rectangular tank that fuel oil could be pumped into. 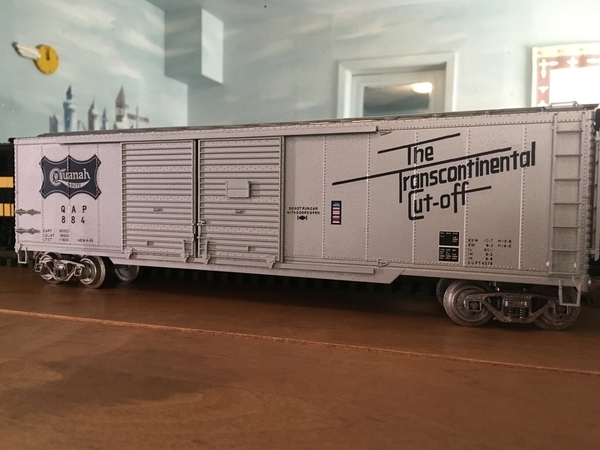 This is a Penn Central N8A cabin I kitbashed. 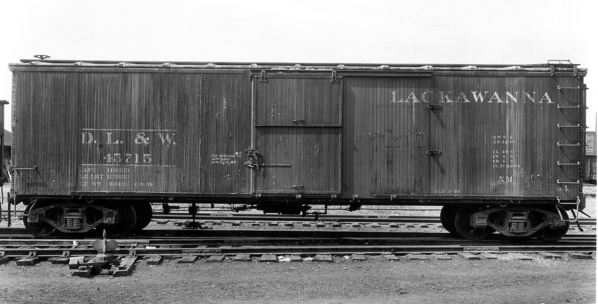 Penn Central inherited NE6 cabooses from the New Haven. Most were in poor condition and relegated to transfer duties. The best ones were modified for road service by sealing off the copula windows and adding bay windows. Toilet facilities were added, with water supply tanks installed in the copulas. Roller bearing trucks were also installed for road service. My model is based on an Atlas O NE6 which I modified by adding bay windows and sealing several other windows. The picture shows the car with friction bearing trucks, but these have since been replaced by roller bearing trucks. 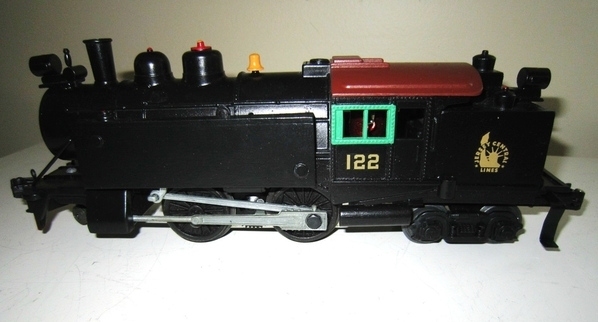 This is a MTH Railking crane car right out of the box. I felt the cab sat too high and the ride was too high. I lowered the cab by modifying the pivot. The ride was lowered by modifying the bolsters. Bettendorf trucks replaced the factory roller bearing trucks. The smoke stack was cut down. A heavy dose of weathering completed project. I was originally considering adding smoke and work lights, but the smoke unit would have required extensive modifications to the cab mounting. Wisdom told me that was a can of worms I didn't want to open. 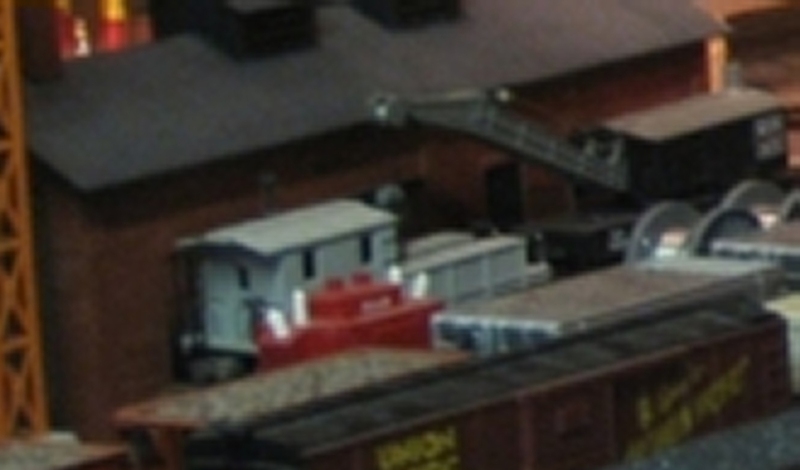 The modifications took away the toy-like appearance and made a respectable model of a 150 ton crane. Tom those are some intriguing kit bashes. The transfer caboose looks cool, and I like the historic detail on the propane tanks. That 150 ton crane looks like a real nice piece of "Hi-rail scale" to me now. The lowering really takes it out of toyland; the weathering looks spot on. Cheers, Bob "Hauling Glory to the Dead Beat since 1996"
This began as Lionel's Union Pacific 19121 smooth side dome car. With the help of some Plastruct, it is now D&RGW's California dome lounge, used for special occasions and the Ski train. Terry, how did you do it? Here's an easy one to build. 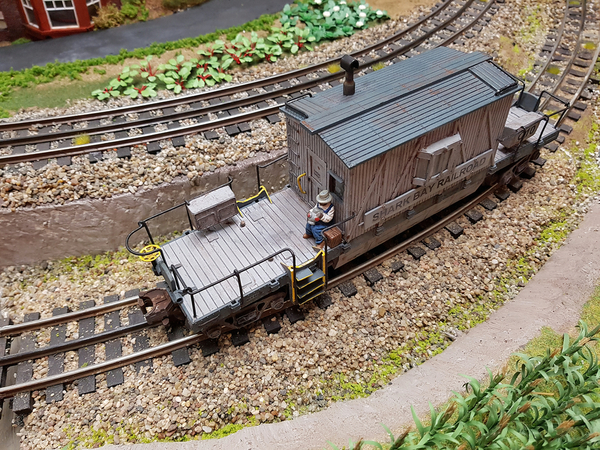 After I sold my crane car, I converted my work caboose into a flatcar. Plastruct makes several sizes of corrugated siding. 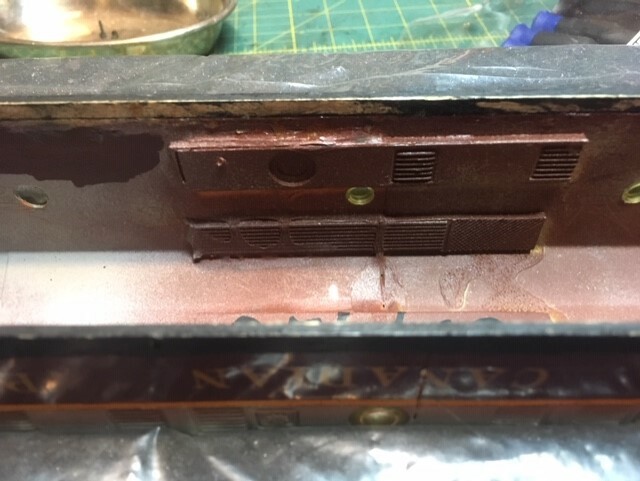 I used "N" gauge for the roof fluting and "O" gauge for the side fluting. 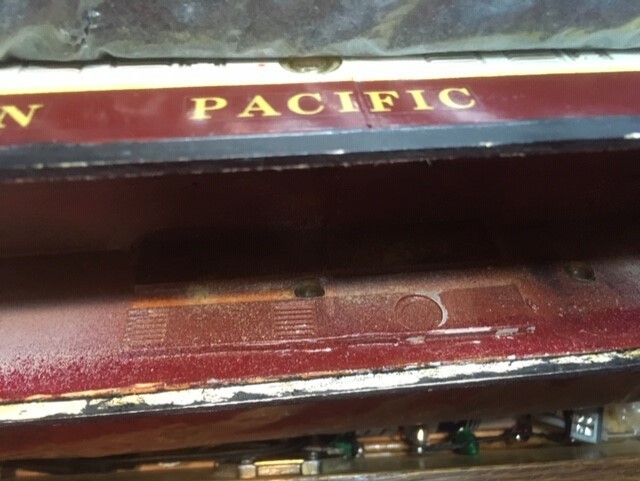 Both applied with epoxy. 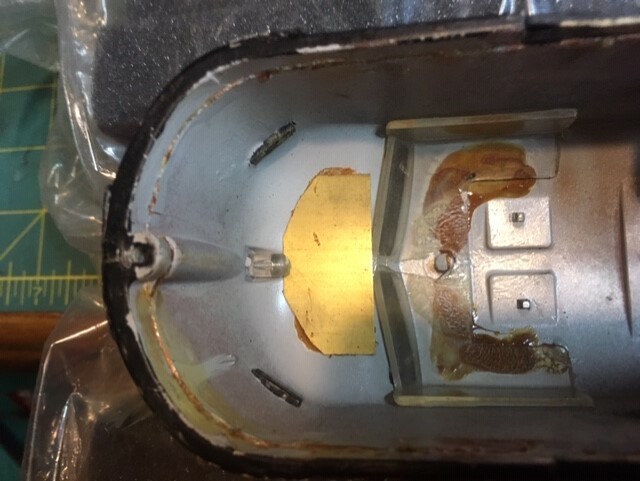 The roof sections were then wrapped tightly with thick rubber bands every 1/2" or so until the epoxy had set. I used clothes pins to do the same for the sides. 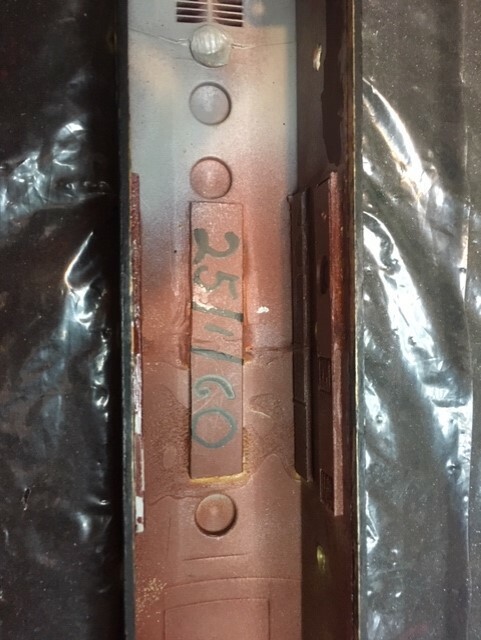 Small pieces of Plastruct were used to blank out window areas per photos of the car, also held in place with epoxy. 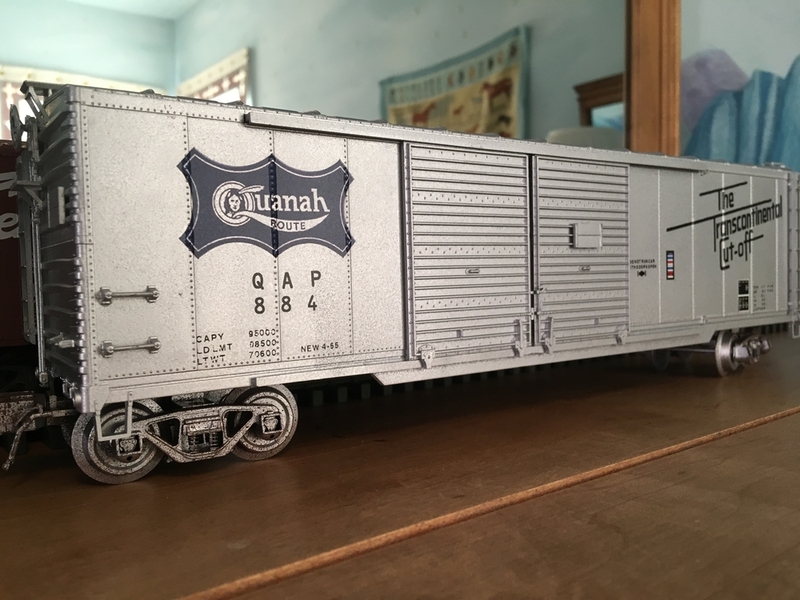 I made some decals of screening and applied them over small pieces of Plastruct and glued to the roof to simulate the air vents along the sides. Terry, thank you for that comprehensive reply--that was quite an undertaking. 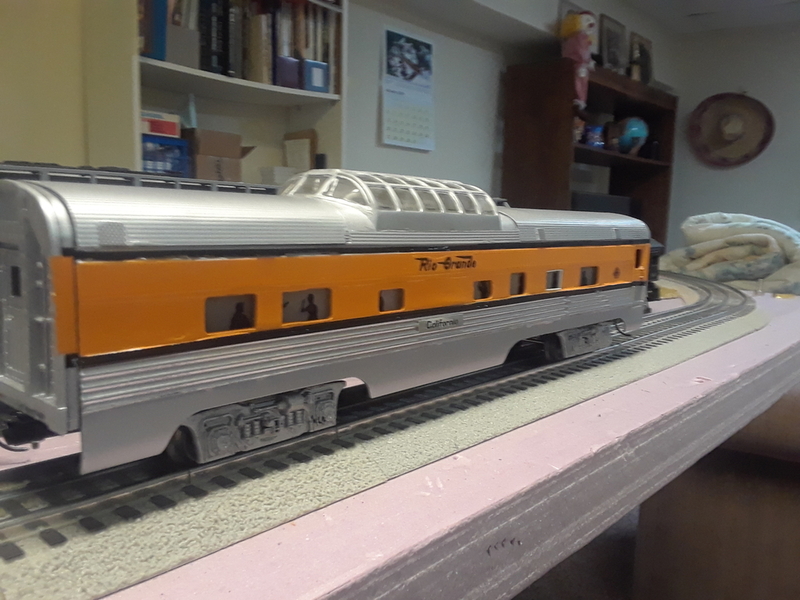 And using the UP smooth-sided offset dome car, 6-19121 as the donor is close to home since I'm using one to make a dome car for my NP North Coast Limited train. Alco HH660. 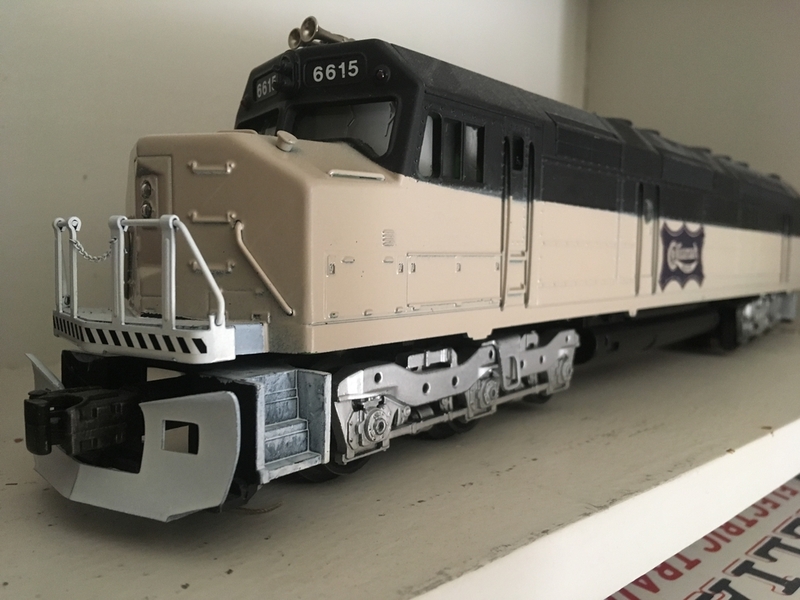 I use Lionel Alco S2 trucks, cab and a some another parts. S.B.R. 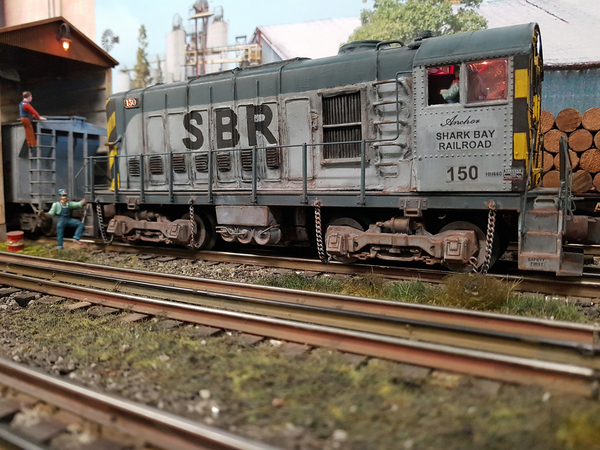 -transfer caboose was earlier a MTH -crane tender. Wow, you guys have some great ideas for cars and do great building work. I am enjoying see all your cars and love that others enjoy this section of the hobby too. 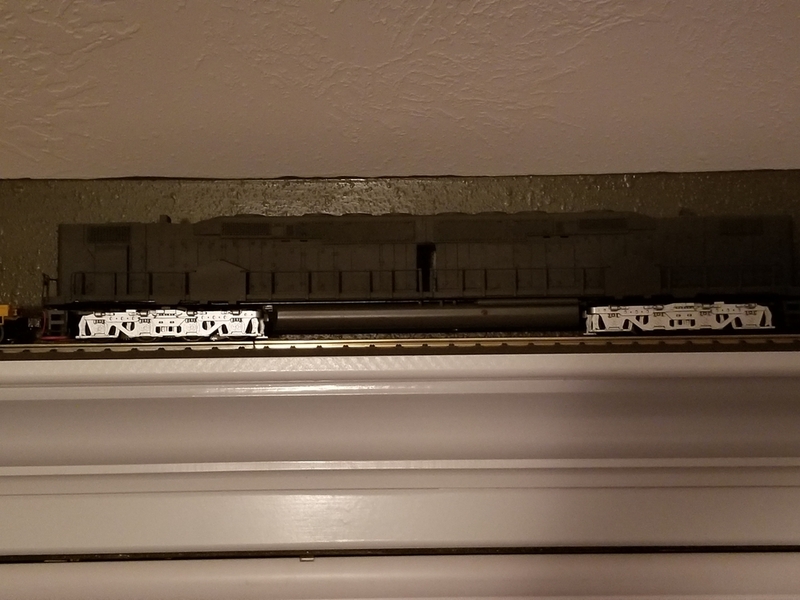 I know this is a week late for Christmas but I find after Christmas and New Years, with the lousy winter weather, a great time to build train cars and stuff. 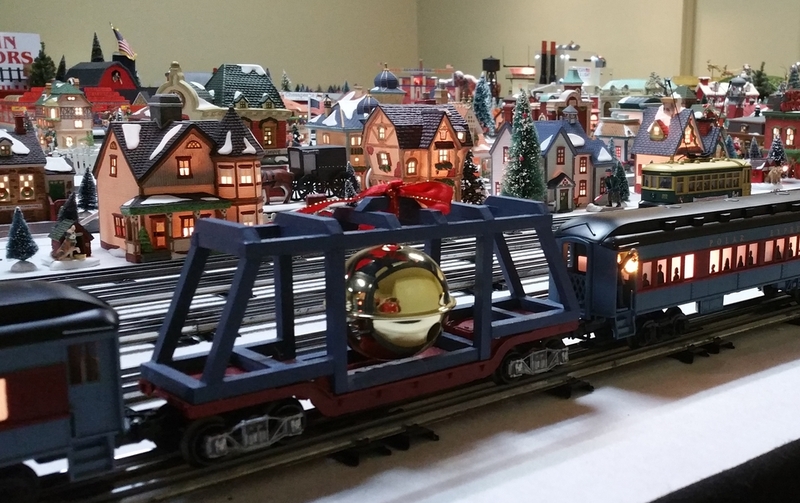 I added a Santa, sled and 8 reindeers plus Rudolph the red nosed reindeer to my Christmas train. I made the reindeer cars from three junker scout sized flat cars and figures and reindeer from a Hallmark Cards Santa, Sled and Reindeer set. I painted the flat cars white as reindeer like snow and will show up better with a light color. One car carried the Santa sled and two reindeer, a second car carried four reindeer and third car carried two reindeer and Rudolph the red nosed reindeer. The reindeer were simply glued to the flat cars with 5 min epoxy glue. The original Hallmark Cards Santa sled was too big so a smaller one was made from balsa wood and sized for Hallmark Cards Santa. A blinking red light was installed in Rudolf’s nose and a power pick up was added to the car. The Christmas Train is usually stationed on the hidden track behind the background and comes out by surprise for the kids after watching the trains run for a few minutes. The train has a Christmas candy in a gondola also and is one train always used at Christmas time. I did not build this unit but i thought i would post this home built E-unit. 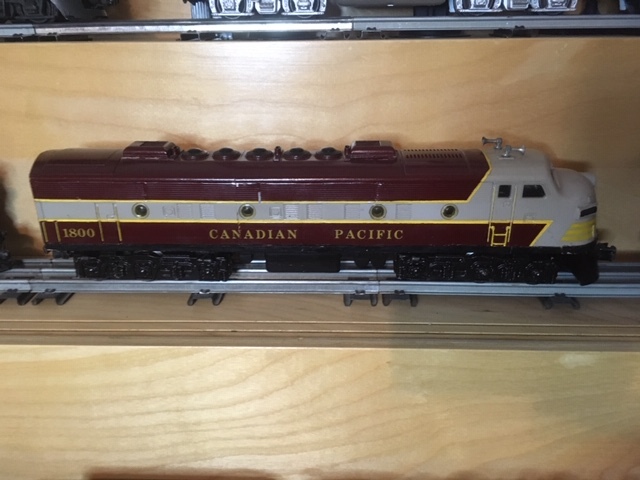 This locomotive started life as two Postwar Canadian pacific F-3's and a postwar Trainmaster . Found this at my local shop in a collection they had acquired. I enjoy collecting some of the period custom built units as it turns the clock back on our Hobby. 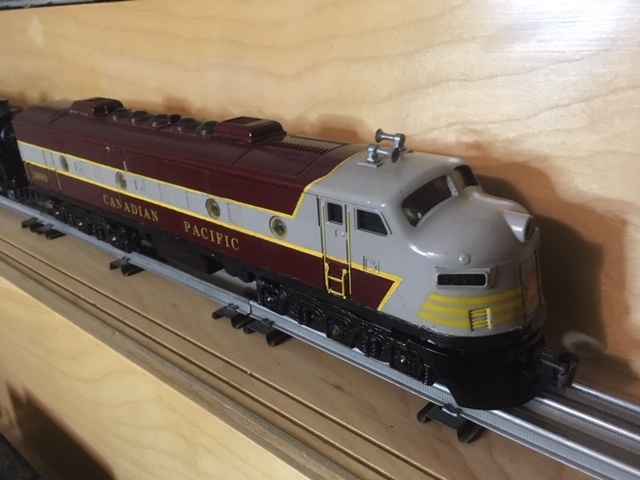 This locomotive shows us a time in our hobby when building was the only way to ever get a locomotive that would never be produced. 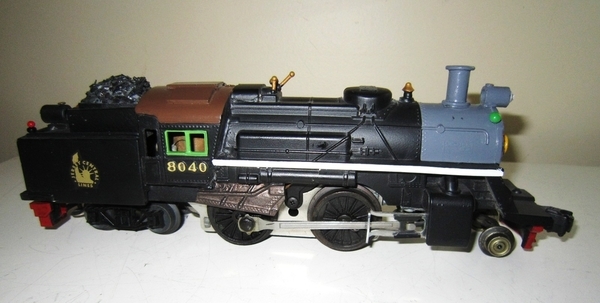 The creativity and the skill of the people that created models like this out of what was available is fun to study. Here is a modified sloped back coal tender I made years ago and just found it on the train shelves. Seems Lionelville coal tenders are always full of coal. 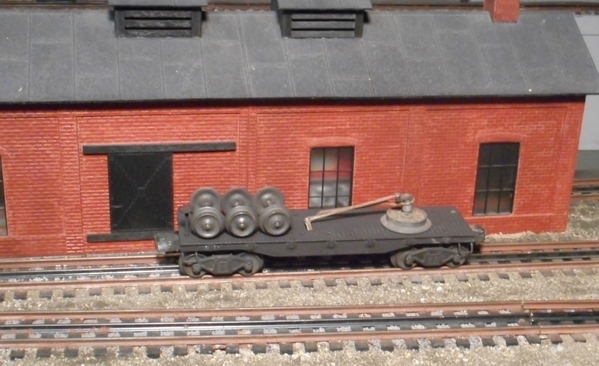 This one is empty and the switcher was heading for the coal tower when the tender derailed. I just cut out the coal load added walls and a floor. 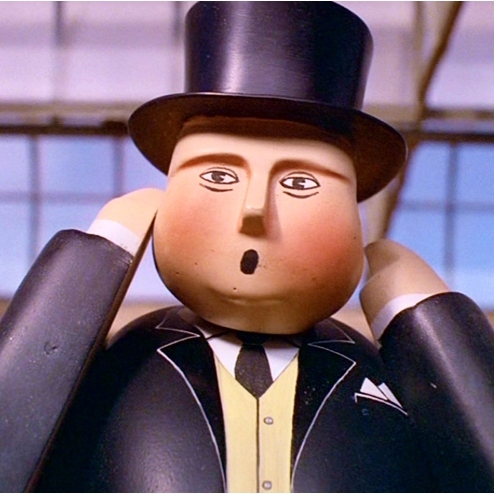 Being empty will make it easier to put the lead trucks back on the tracks! I love coal tenders. I picked up a box of 30 or so junked coal tenders years ago so hacking up one is no big deal. 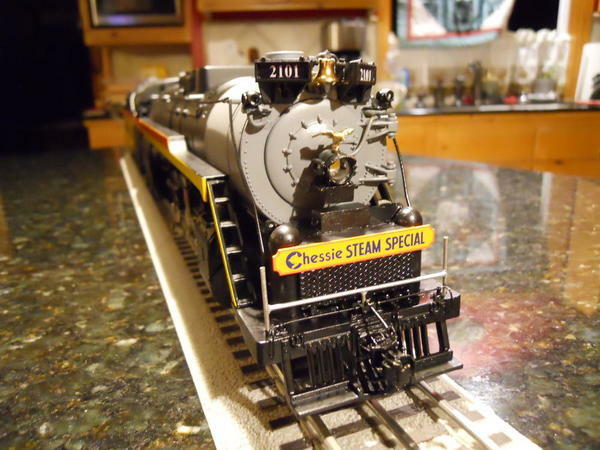 My heavily detailed Chessie Steam Special. This is an LTI 6-18011 with a 6-18064 Mohawk Tender. There is work that still needs to be done. Up grades include AC Commander, Super Chuffer, Fan Driven Smoke Unit, Large Steam Rail Sounds, Electro Couplers on the tenders plus all the detailing on the front of the engine and the painting of course. Frizzenbee you are one very creative fellow. 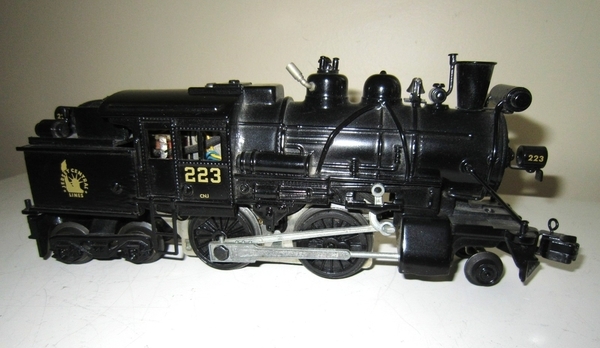 I designed and made this Bell Car for my Polar Express Bell a few years ago. This is the bell that came with the set and wasn't doing anything setting in the box. I bow to his superior Weird-Fu. This is my entry into this thread. 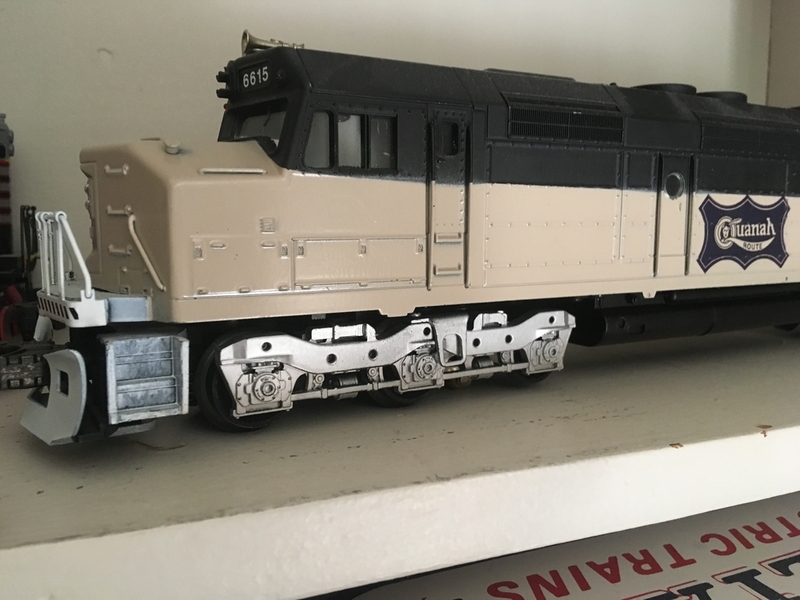 This is my built-from-scratch EMD F3 diesel unit. 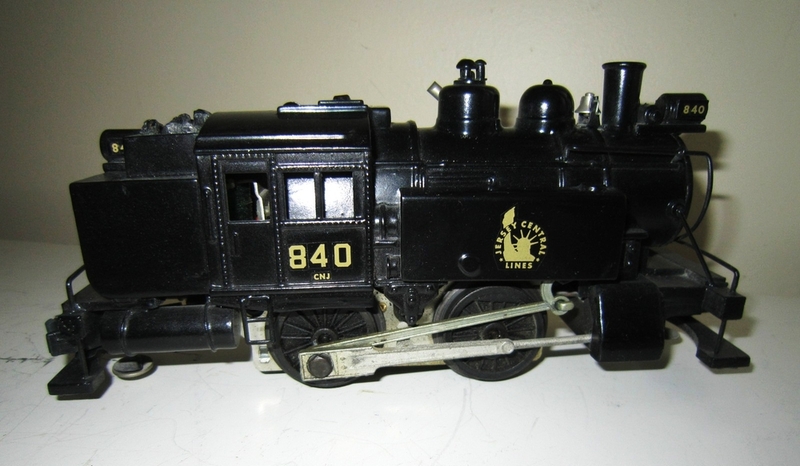 Downloaded a parts diagram from Lionel and began assembling the various parts from a number of different sources. Took about 3 months to get everything. Custom paint and decals by me. Full TMCC electronics, LED lighting and rear electro coupler. CEO of The Great Northern Plaines R.R. Erica Ann I would have never guessed you assembled that whole F3 from pieces. Well done! Great work by you Erica Ann! I will need some custom decals done in the future, so, I'll check out your website! Mitch, what no Razorback red rattlecan this time? Does Fortesque approve?